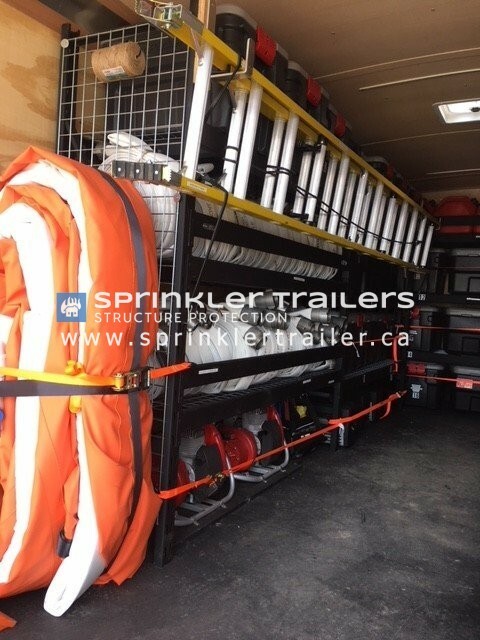 A Sprinkler trailer is a portable firefighting solution from CV Trailer Sales. 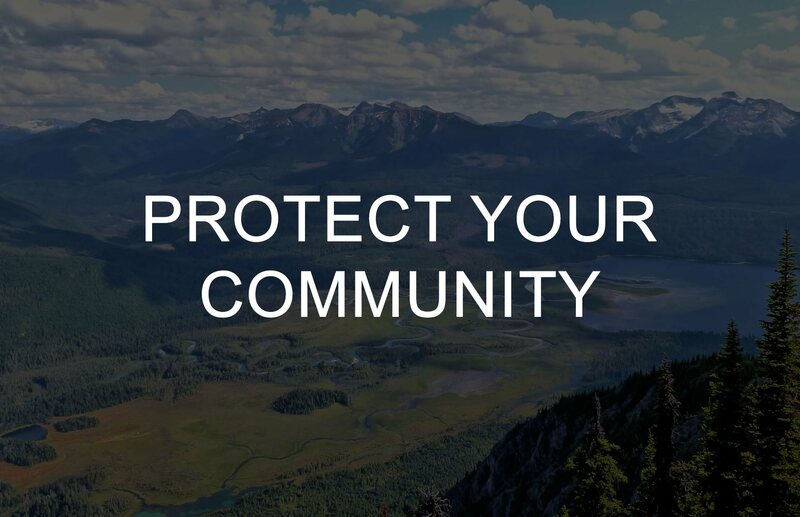 It is specially designed to enhance safety and protect homes, businesses or other structures from the threat of wildfire. 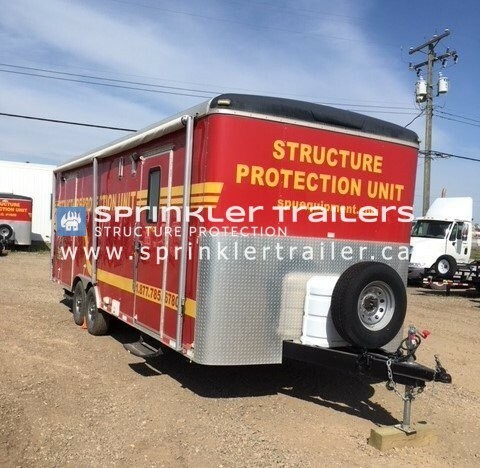 C & V Trailer Sales and Rentals have been providing Type 2 Fire Sprinkler Trailer Structure Protection Units (SPU’s) for seasonal rental to the BC Office of the Fire Commissioner and BC Wildfire Service since 2011. 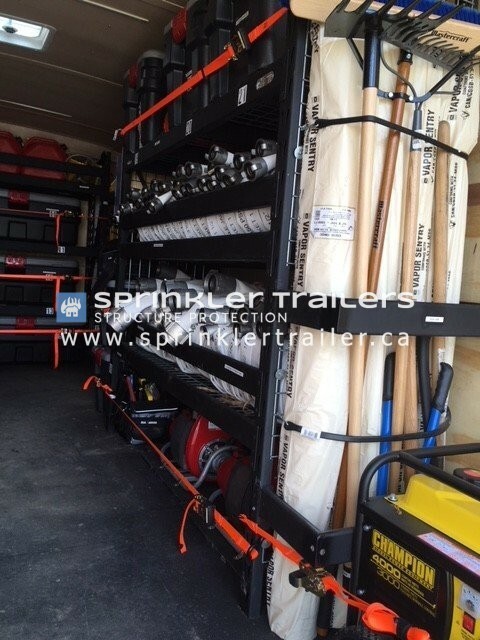 What Does a Sprinkler Trailer Do? 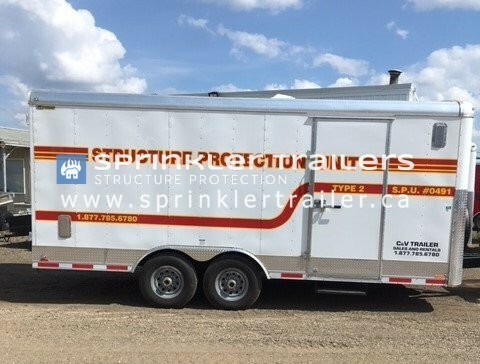 Fire Sprinkler Trailer SPUs are custom enclosed structure protection units with specially designed wildfire sprinklers, portable pumps, high-pressure fire pumps, fire hoses, and various adapters. During emergencies, sprinkler trailers are deployed to assist firefighters and protect communities. Our Fire Sprinkler Trailer SPU trailers are stored and maintained at our yard in Fort St John, BC during the off season.  As fire season approaches, and conditions warrant, our Type 2 SPU’s are strategically placed at our approved “Business” locations in Fort St John, Prince George, Cache Creek and Penticton, BC for optimum provincial coverage and response times. In the event of a Wildland-Urban Interface fire, SPUs are deployed by the BC Wildfire Service. Our trailers are ready to be deployed on short notice and we respond to resource requests from Emergency Management Personnel 24 hours a day. Our Type 2 Structure Protection Units are built to BC Wildfire Service and OFC standards. Each unit contains enough equipment to protect approximately 25 structures. When structures are threatened in a Wildland Urban Interface situation, Fire Sprinkler Trailer SPU equipment is deployed to mitigate damage. Fire hoses and sprinklers are set up to create moisture zones. This operation creates a bubble of humidity over and around structures, keeping roofs and walls wet. This helps to protect combustible structures from the sparks and flaming debris of an approaching wildland fire.  With timely deployment, many homes and structures may be saved from fire devastation. 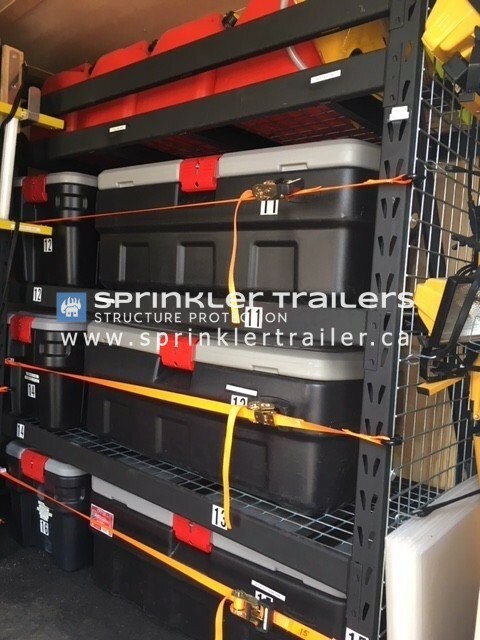 Our Type 2 Fire Sprinkler Trailer Structure Protection Units are on seasonal contracts with the BC Government on an “AS & WHEN NEEDED” basis. However, we also provide Type 2 SPU units to Industry across Canada for rental and will also build units for purchase.